Al-Qaeda-linked jihadists attacked a United Nations peacekeeping base in Aguelhoc in northern Mali's Kidal region, killing at least 10 peacekeepers, the UN mission in Mali said Sunday. The base houses peacekeepers from Chad. 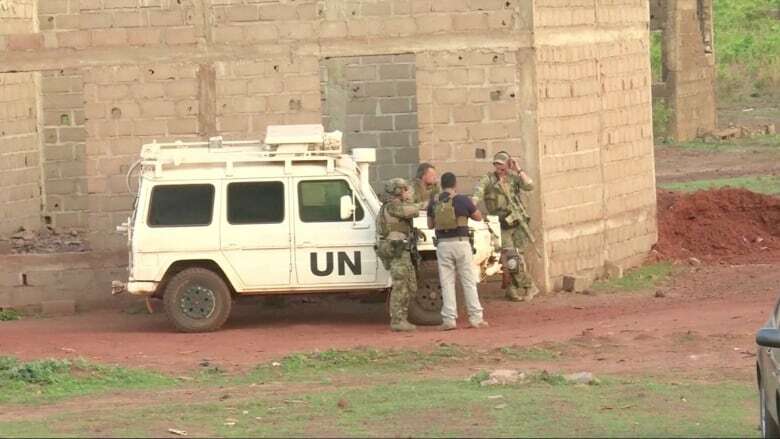 Al-Qaeda-linked jihadists attacked a United Nations peacekeeping base in Aguelhoc in northern Mali's Kidal region, killing at least 10 peacekeepers, the UN mission in Mali said Sunday. The United Nations said peacekeepers had thwarted the attack, but 10 died and at least 25 were wounded. The dead peacekeepers were Chadian nationals. The Nusrat al-Islam wal Muslimeen group claimed responsibility for the attack in a statement posted on the Telegram messaging service, saying it was in response to Chadian President Idriss Deby's revival of diplomatic relations with Israel. "The Secretary-General reaffirms that such acts will not diminish the resolve of the United Nations to continue supporting the people and government of Mali in their efforts to build peace and stability in the country," the UN said in a statement. No members of the Canadian Armed Forces were involved in the incident, the Department of National Defence confirmed to CBC News. A statement issued on Twitter from the Canadian Embassy in Mali said Canada "strongly condemns" the attack, and reaffirmed their support of the UN mission and the Malian people. The peacekeeping mission in Mali, which includes up to 250 Canadian flight crew, medics and support personnel, is one of the UN's deadliest. Mali is under threat from a number of extremist groups affiliated with al-Qaeda and the Islamic State organization, and attacks have moved from the north to central Mali. The mission's chief Mahamat Saleh Annadif demanded "a robust, swift and concerted response." French forces intervened in Mali in 2013 to drive back fighters who had hijacked a Tuareg uprising a year earlier, and some 4,000 French troops remain there. The UN Security Council then deployed peacekeepers, which have been targets of a guerrilla campaign.